I did what anyone starting to plan a trip did: I Googled some things. But instead of finding answers, I just found myself overwhelmed. 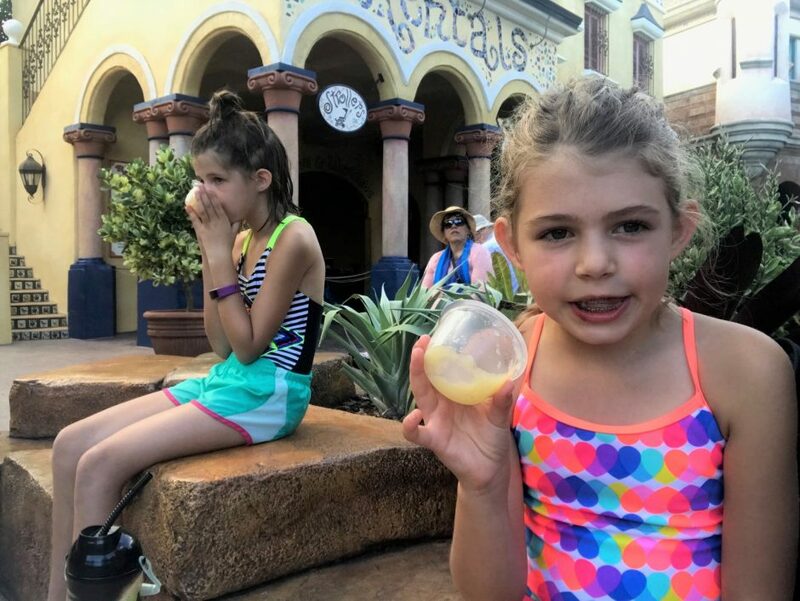 We wanted to go to Universal and Disney World for fall break last month, but the information was never-ending, and it felt like everyone was telling me different things. What I wanted was a low-key trip to a few amusement parks, but what I found was anxiety and stress. Too many articles. Too many tips. Too many ideas. Too many things to do. So before I tell you how our fall break trip to Orlando was, I want to tell you how we prepared. Not because you can’t find a million answers on the internet to these exact questions, but because I feel so much of it was unnecessary and confusing. What if you want to go do Disney but you don’t go three times a year and spend all week there and know all the secret handshakes? What if I’ve never been to Universal Studios and you just want to make sure you don’t miss anything your kids want to do? I want an introvert’s guide to Disney and Universal, if someone could write that, please and thank you. Until that happens, I’ll tell you how we prepared for the trip, what we took with us to help lessen some in-park expenses, and what tips we actually used once we were in the park. The main point of Universal was taking my Potterhead daughter to The Wizarding World of Harry Potter. The months leading up to our trip, I slowly collected Harry Potter shirts for all of us to wear. We spent two days at Universal and so we each needed two shirts. What’s great about HP is it’s so popular (still, 20 years after publication) you don’t have to struggle to find anything Harry Potter related. I picked up shirts at Target for the girls and Kohls for Chris and I. My girls didn’t know we were going to Universal Studios or, specifically, The Wizarding World of Harry Potter, so I printed Hogwarts letters with their names on them to surprise them with the news. You can print your own letters here. Both girls still have their letters and treat them with the upmost care. 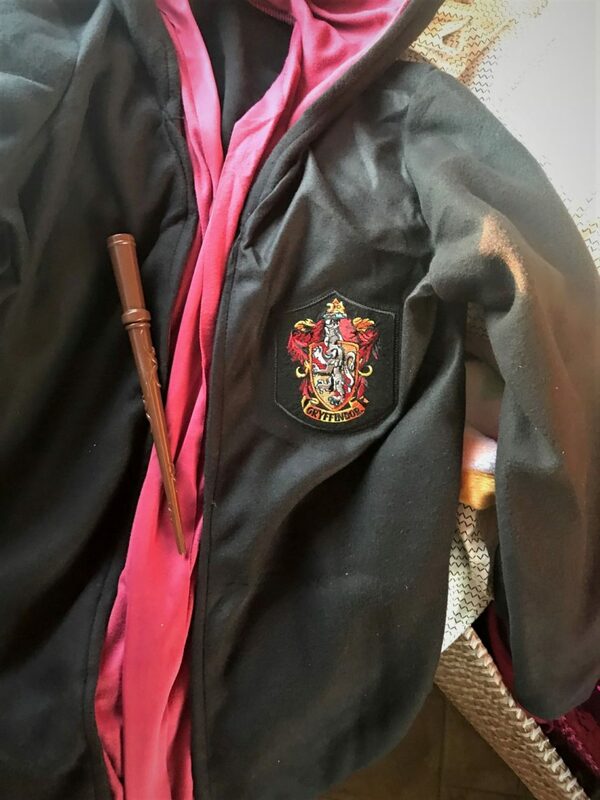 Because two days doing all things Harry Potter was going to be a once-in-a-lifetime trip for my girls, we planned on letting them pick out one thing from a shop in Diagon Alley or Hogsmeade as well. Harper got a Crookshanks stuffed animal, and Ellie got a quill set. We also stopped at Honeydukes for chocolate frogs, and we tried butterbeer (frozen and chilled versions) at the Leaky Cauldron. We spent much less money at Disney or elsewhere in Universal, but for us, the pinnacle of our trip was Harry Potter so we lived like we had unlimited funds at Gringotts for a few days. At home (AKA: the camper), I had stickers, character dolls, and pencil cases waiting for them when they crashed into bed at night. It was easy to say no to lots of expensive junk at the stores when I told them they had surprises waiting for them already. 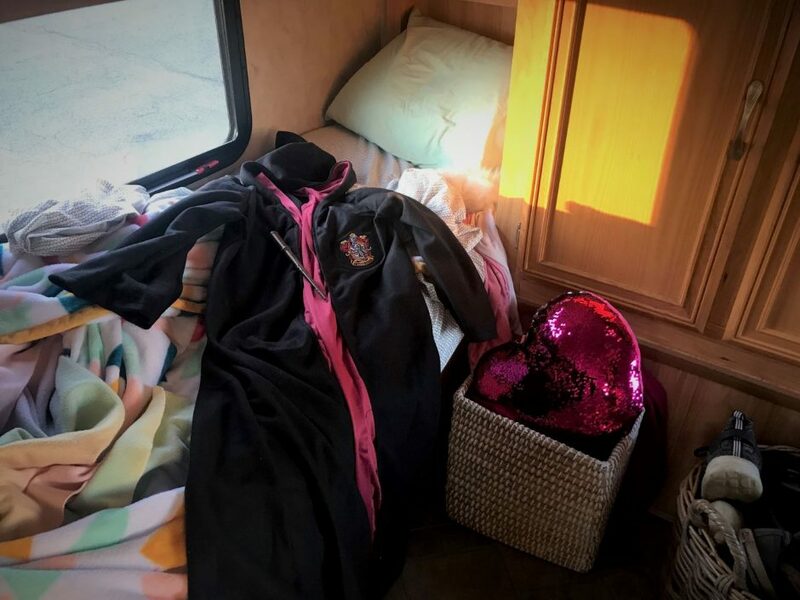 Our local Party City also had great Harry Potter stuff I picked up before the trip so we wouldn’t be tempted to buy over-priced things at the park. Everything I had read told me to get into either Diagon Alley or Hogsmeade first thing in the morning before it got too busy. Part of the Harry Potter experience is riding the Hogwarts Express, but to do that, you have to have the park-to-park pass. If you get a ticket for just one park, you can’t ride the train or visit the other part. You could do one park each day and have plenty to do, but riding the Hogwarts Express is a really neat experience. Make sure to ride it both ways because each one is different. I prepped for Disney the same way. I picked up Mickey and Minnie shirts for us at a Disney outlet mall this summer. The second day, we wore other Disney shirts (Moana, Star Wars, Lilo and Stitch, etc. ), and if I didn’t get it at the Disney outlet, I picked it up at Kohls. One day when I was brave, I asked my Facebook friends what Disney tips they had. We only had two days and I wanted opinions on what parks we should focus on for our very first visit. Without hesitation, people recommended Magic Kingdom. Some said Animal Kingdom was their favorite too, but we ended up choosing Hollywood Studios for the second day. We did not do the park jumper tickets because there was more to do in each of those parks individually so it was going to be a waste to add more things to do (plus many people said travel time–when you have a limited visit–wasn’t worth it). We also attended Mickey’s Not So Scary Halloween party one evening so I bought Minnie trick-or-treating bags for the girls at Wal-Mart plus unicorn headbands and tails at Target. I wanted them to be able to wear costumes, but I didn’t want to carry anything bulky around all day so I found small things to shove in the backpack. Many Facebook friends said to order lanyards and trading pins on Ebay before we went to Disney and then trade pins with the crew members. 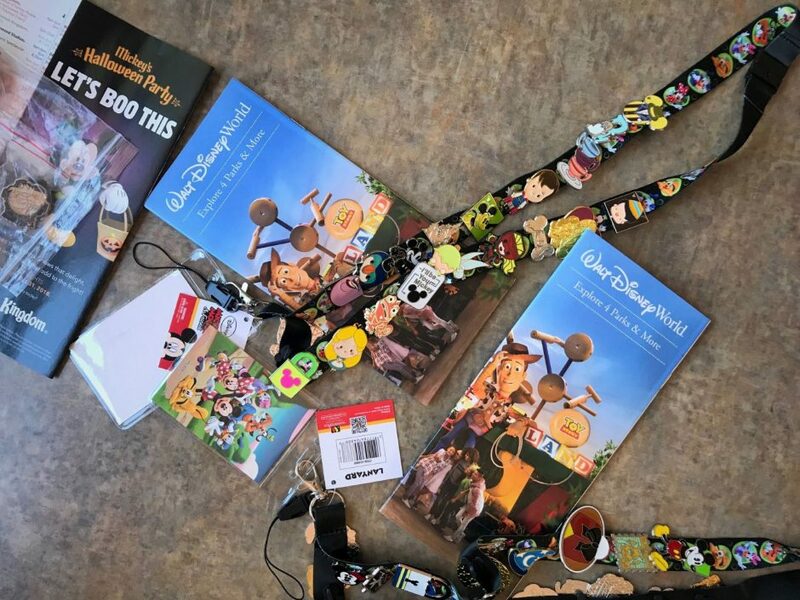 I found lanyards on Amazon and a lot of 50 pins on Ebay before we left so when we arrived at the park, we were armed and ready to trade pins. The girls (and Chris…I didn’t buy him a lanyard for pins, but I learned the error of my ways when we ended up at the store the night before Disney buying one for him) had a lot of fun trading pins with crew members. Buying pins at the park is crazy expensive, but I got 50 for less than $30 and would HIGHLY RECOMMEND you do this before you go. Everyone came home with cool pins; Chris ended up with a whole lanyard of Star Wars pins and Harper completed a set of Mickey pins. It was a fun extra thing to do there that many people weren’t aware of. We had more than a few people ask us what we were doing and how many times we’d been there to collect that many pins. We didn’t buy an souvenirs at the Disney parks. I had enough goodies like Mickey stuffed animals, stationary, tattoos, pens, and sticky notes at home from Target, the Dollar Store, and Party City to keep us out of the shops and kiosks. I learned my lesson on day one of Universal so we came to Disney prepared with sandwiches and snacks. It was convenient and easy to eat while waiting in line for something so we only spent money on special snacks like LeFou’s Brew and the giant cinnamon roll at Gaston’s Pub. Of course, we had to get Mickey ice cream, but it was so so hot that it didn’t last as long as everyone would have liked. I think Harper’s ended up on the sidewalk. Ellie tried a Mickey pretzel (it was a hit), and we had decadent cupcakes at the ABC Commissary. When you buy tickets, you get three FastPass options with each ticket. 30 days before your visit you can select what rides or experiences you want and at what time. I wasn’t too concerned when the 30 day mark rolled around and selected our FastPass times later than I should have. We still had good options, but if I had done it the day it came open, I think I would have selected a few different rides. A lot of people make food reservations, but we weren’t there to eat food so we skipped that. Okay, that’s it for my low-key tips and suggestions. If you’ve got some, leave them below, but remember, I get overwhelmed easily so talk quietly and slowly. My husband and I went to Wizarding World this spring for the day. We’re not big theme park people and I didn’t do any research beforehand because I knew it would make me feel super overwhelmed, so I can definitely relate! Since this was a once-in-a-lifetime thing, we also just pretended like we had mountains of gold in Gringotts. :p I drank my weight in butter beer and had a sugar headache for a week, but it was all worth it. So glad you guys had a great time!